My name is Lam and I was born in 1969. I was married to a US immigrant visa in December 2013. I was interviewed at the Consulate in August 2014 but still not granted a visa. The Consular Officer only told me to edit some of the information on the DS-160 and that information was relevant to my involvement with the Vietnamese Communist Party. In the 90’s, because of my professionalism in the IT industry, I was nominated to be a member of the Party. I was thinking about this because my family had many people who served in the South Vietnamese Army, like my grandfather who worked as District Head, my mother worked for the US Consulate, my father was Miss And I understand that it is likely that I will have psychological difficulties for my family and the opportunity to progress in the state apparatus. And for my livelihood and love of work, I decided to become a party member to continue my work. After nearly 20 years in my job, my job is not an IT professional, which, in my opinion, I have more ability and experience to progress further. Living like the party before. After a long period of non-activity and paying the party fee, I was removed from the list of members because I violated Article 8, the party’s charter: voluntarily dropped out of the party for no reason and did not pay the fee. regulations. Also, when in a party organization, my work and responsibilities revolve around technology and writing in the office, and entering my party is for economic and professional reasons only. Huy please tell me, have I ever been a member so the consular officer has reservations about issuing a visa for me? Or can my application be rejected only for that reason? Well, during the interview, I answered very well, but when I got to know the party and had gone to the party, they did not ask for anything more. I am very anxious now, I want to be reunited with my fiancé, we are so hard to come together so I will never give up. Huy understand and help me answer. Sincerely thank you. Wishing you much health. Dear Mr. Lam, SG VISA is sorry that you have not obtained your US visa in the recent interview. SG VISA understand his mood now, the desire to reunite with his fiancée to build a new life on the land they have set up, that is completely understandable. SG VSIA sees his enthusiasm and determination are essential in the pursuit of the American dream. It’s because the United States has its own resources, people, strict law system, and for the best individuals in the United States is a very attractive destination. In addition, the United States is a dream for those who cherish a dream of reunion, to succeed, to money and to fame, or simply to improve themselves with knowledge. 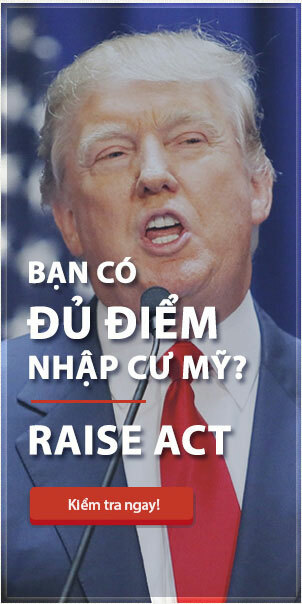 Entry into the party has been an obstacle for Vietnamese citizens wishing to settle in the United States. After the Second World War, the US government forbade anyone joining the Communist Party to enter the United States. Today, many members of the Communist Party still find it difficult to enter the United States. Two months ago, SG VISA helped a client obtain a visa and this client has the same situation as Lam’s. In the year 2000, Mr. Nghia, named above, was nominated by his superiors to be in the party for his livelihood and to ensure his long-term position and to give him the motivation to contribute. for more work. However, the party organization at work did not accept his file because the family was formerly a serviceman for the Armed Forces of the Republic of Vietnam. As a fully capable employee, Nghia eventually joined the party as the will of his superiors and otherwise secured the social status and economic benefits of his family. hours. Until the year 2013, for personal reasons, Nghia officially left the party before his wife opened the US immigration records. The file is self-made by the wife and submitted to the US Department of Immigration. After the dossier was sent to the US Consulate in Vietnam, Nghia went to the interview and was asked regular questions. However, when asked about the party organization, Nghia was not confident in the answer, so they handed him the green paper and asked for the necessary additions written in the green paper. Therefore, SG VISA has written a report and petition for I-601 clarifying the process from the time of the party’s admission to the departure of the party, and SG VISA has emphasized that during the party’s process, Nghia does not participate in any work and does not participate in any organization that involves scorn or violence against Vietnamese citizens and others; Nghia’s participation in the party is just for survival and economic gain. SG VISA explained to him that Nghia understood LSQ’s thinking, and also trained him to answer the Consular Officer’s questions in the case of adding the report and still being questioned. Nghia is very happy that he has been granted a visa by the LSQ, but he is happier that he is reunited with his wife, two children and has a new life in America. It is not difficult for us to get a US visa for a Vietnamese citizen who has been or is a member of the Communist Party. It is not easy, but it is not easy, it is important for us to understand the way of seeing, evaluating and thinking. Consular Officers, from which to provide ways of preparing for the record and convincing solutions so that they can absolutely not refuse their reunification records, because US immigration law allows eligible people In order to enjoy the future of living together with relatives in the United States. SG VISA hopes to partly answer your questions and interested readers with the same problem. If Lam and other readers have other questions, please contact SG VISA for more detailed and detailed advice. Wish him soon to be reunited with his wife to get married in the United States.